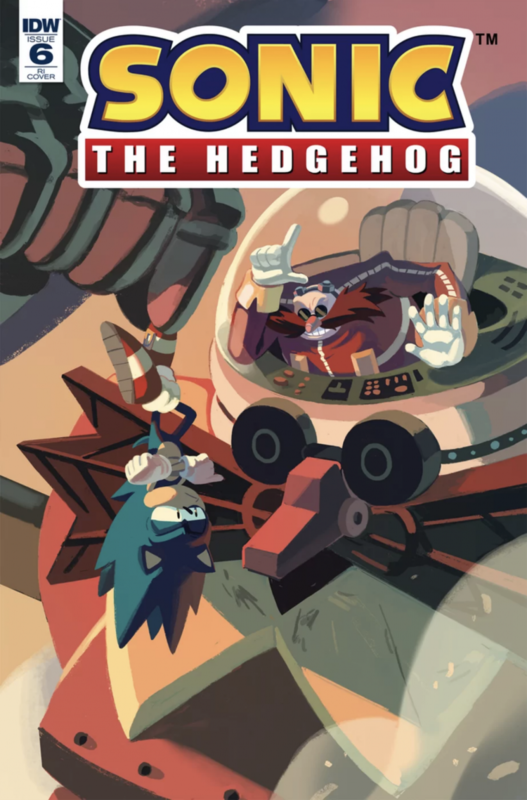 The preview for issue six of IDW’s Sonic the Hedgehog is here! Following up from the previous issue, six features the story “The Fate of Dr. Eggman” Part 2. The issue is to feature Eggman, Shadow, Rouge and the Chaotix. Oh and of course, Sonic. It is becoming pretty clear that each issue, at least in this early run, will introduce new and returning characters to the IDW canon. After the break, check out the full solicits and a preview of a IDW Sonic collector’s box set! “The Fate of Dr. Eggman,” Part 2.Dr. Eggman has been located, but Sonic’s not the only one to find him! When Shadow comes, whose side will Sonic be on?!? Guest starring: Shadow the Hedgehog, Rouge the Bat, and the Chaotix Detective Agency! The second part of the gripping story, setting up the series through 2019! Collecting the first 4 issues of the hit new series! If you missed “Fallout”before, here’s your chance to hop aboard Sonic in this exclusive collector’s edition featuring the full, unaltered original art connecting covers by Tyson Hesse, plus a very special sketch variant of Sonic the Hedgehog #1—perfect for conventions or in-store signings! I like this a lot. Thank you for sharing. I’m always looking for upcycles like this. In the end, you don’t know it was a shipping pallet to begin with!